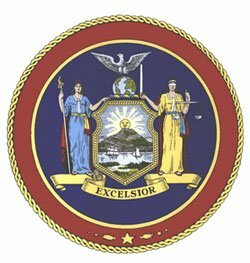 Governor Andrew M. Cuomo today announced that the New York State Board for Historic Preservation has recommended the addition of 21 properties, resources and districts to the State and National Registers of Historic Places. Albany, NY - March 24, 2014 - Governor Andrew M. Cuomo today announced that the New York State Board for Historic Preservation has recommended the addition of 21 properties, resources and districts to the State and National Registers of Historic Places. State and National Register listing can assist property owners in revitalizing buildings, making them eligible for various public preservation programs and services, such as matching state grants and state and federal historic rehabilitation tax credits. Spurred by the state and federal commercial historic rehabilitation tax credits administered by the State Historic Preservation Office, developers invested $1 billion statewide in 2013 to revitalize properties listed on the National Register of Historic Places, while homeowners using the state historic homeowner rehabilitation tax credit invested more than $14.3 million statewide on home improvements to help revitalize historic neighborhoods. The State and National Registers are the official lists of buildings, structures, districts, landscapes, objects and sites significant in the history, architecture, archeology and culture of New York State and the nation. There are more than 90,000 historic buildings, structures and sites throughout the state listed on the National Register of Historic Places, individually or as components of historic districts. Property owners, municipalities and organizations from communities throughout the state sponsored the nominations. First Congregational Church of Albany, Albany – constructed between 1917 and 1918 after many members of its congregation relocated from downtown to the Woodlawn neighborhood, the church has been a prominent feature in Albany, both as an architectural landmark and as a gathering place for the community. The Frank and Eliza Tryon House, Weedsport – the Italianate-style house was built ca. 1887 by a couple significant in Weedsport’s commercial and civic life at the turn of the 20th century, as it developed into a thriving commercial town due to its proximity to the Erie Canal and several railroads. The Loomis Family Farm, Oxford Vicinity – the farm, settled in 1801, includes a finely crafted 1832 stone farmhouse, a large late 19th/early 20th-century dairy barn, and other smaller farm buildings. The Burroughs-Foland House and Farm, Livingston – a rare example of Spanish Mission-style architecture in a rural setting, the house and carriage house were built in 1908 as the country home of retired businessman Russell Foland. Bangall Post Office, Bangall – Constructed in 1915 by the postmaster in a central location convenient to the rail line, the mixed-use commercial building has included a store, library and the Stanford Historical Society – but the primary function has and continues to be a post office. Sibley & Holmwood Candy Factory and Witkop & Holmes Headquarters, Buffalo – located adjacent to one another in downtown Buffalo, the 1896 Sibley & Holmwood building and the 1901 Witkop & Holmes building are unrelated in their commercial histories, but survive in a portion of the downtown where much of the historic building fabric was lost during the mid-century. Taylor Signal Company/General Railway Signal Company, Buffalo – the well-preserved concrete-framed factory dating to 1902 was successful in the early mass production of electric railway signals. Northville Historic District, Northville – the intact residential and commercial core of the village, dating from 1819 to 1933, reflects how Northville began to grow in the 1830s as a result of the logging industry and more rapidly after the completion of the railroad in 1875, allowing both local industry and tourism to boom. Collinsville Cemetery, West Turin – established in 1810, shortly after the first New England settlers arrived in nearby Lyons Falls to take advantage of water power from the Black River, the cemetery’s early funerary markers record the lives of the families who settled the region and who were prominent in its early history. Building at 116 John Street, New York – completed in 1931, the Art Deco office building designed specifically for insurance companies in the heart of the insurance district is one of the final group of skyscrapers erected in the city after the building boom of the 1920s and before corporate modernism became the reigning design in the skyscraper explosion of the post-war period. The Ansche Chesed Synagogue, New York – built in Harlem in 1908-1909 for a German Jewish congregation, and known today as the Mount Neboh Baptist Church, it has served Harlem’s Jewish, Puerto Rican, and African-American communities and is the only known surviving house of worship to have served the city’s three largest religious faiths: Jewish, Catholic, and Protestant. The West 114th Street Historic District, New York – the 36 residential buildings were erected in seven groups between 1895 and 1899 to attract working-class residents willing to commute on new elevated trains, first attracting white households of various ethnicities and, beginning in the late 1920s, the African American families who made Harlem one of the most important neighborhoods for New York City’s black community. Tomhannock Methodist Episcopal Church, Pittstown – the 1845 Greek Revival–style rural church retains much of its form and structure from its original construction period. Agudas Achim Synagogue, Queens – constructed in 1924-1925, the Classical Revival-style synagogue was erected to serve the Jewish community of College Point as it grew after World War I; as the New York Dong Won Presbyterian Church, it has played a role in the religious and social life of a Korean American congregation since 2005. The Amos Brown House, Plattekill – the house was built ca. 1800 with a New World Dutch framing system; changes rendered ca. 1835 in the Greek Revival style show the desire of the owners at that time to modernize in a manner consistent with prevailing architectural trends. Woodward Hall, Lake Luzerne – built in 1931-1932 as the home of Earl Woodward, who reinvented Adirondack tourism in the Lake George region in the 1920s, introducing western-style vacations at his Northwoods Dude Ranch. The dude ranch model caught on quickly and became a primary feature of the local tourism landscape within a decade. Farmer’s National Bank & W.H. Hughes Slate Company Office, Granville – today the Granville town hall, the 1891 multi-use commercial building reflects Granville’s development into a regional commercial center at the turn of the 20th century, when the slate quarrying industry spurred local growth. The Martin-Fitch House and Asa Fitch Jr. Laboratory, Salem – the property includes the ca. 1787 Martin-Fitch house and the small laboratory of the house’s most celebrated occupant, the noted entomologist and historian, Asa Fitch, Jr., who was New York State’s first official entomologist. The Manor Club, Pelham Manor – built in 1921-1922 to house a women’s social, literary, and philanthropic club, the Tudor Revival-style building became a social and cultural center for the whole community and provided women with leadership and educational opportunities. The South Salem Presbyterian Church Cemetery, South Salem – the burial yard contains 373 graves, the earliest of which is recorded as 1739, including two veterans of the French & Indian War, 26 local veterans of the American Revolution, and two veterans of the War of 1812. These nominations, along with the tens of thousands of buildings already on the State and National Register, highlight the significance, depth and diversity of New York’s history. Celebrating and promoting New York’s historical assets is also a significant economic development driver for the State. The Governor has demonstrated his commitment to showcasing New York’s rich history and cultural significance by launching the State’s Path Through History initiative. The Path Through History initiatives uses 13 themes to organize 500-plus heritage attractions across the State including New York’s vast network of museums, historic sites, and other cultural institutions. Visitors can locate sites by looking for the Path Through History marker on major state highways as well as additional local signage, and online at paththroughhistory.ny.gov. Subject: LongIsland.com - Your Name sent you Article details of "Governor Cuomo Announces 21 Nominations for State and National Registers of Historic Places"